Today is release day for the Simon Says Stamp Fresh Bloom Collection! 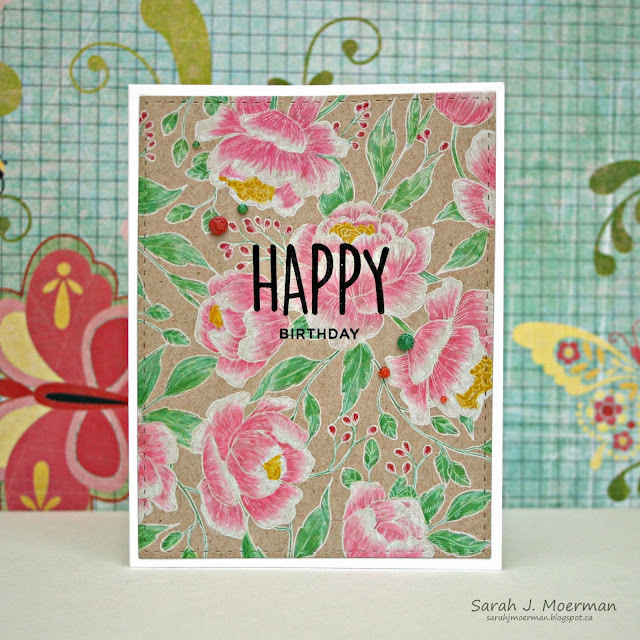 This great new release has me dreaming of Spring! 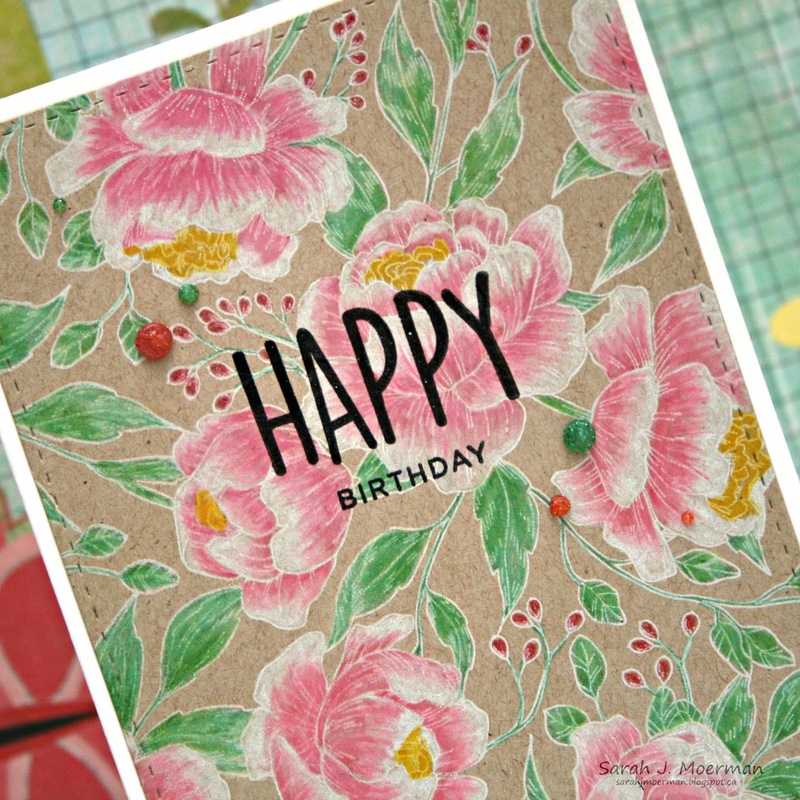 Using my MISTI, I stamped the Pretty Peonies Stamp on Desert Storm Cardstock with Simon's White Pigment Ink. I then coloured the image with Prismacolor Pencils. 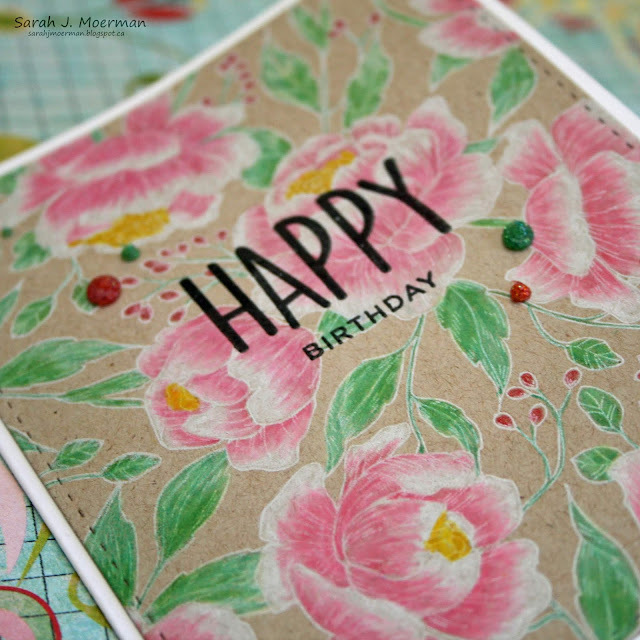 I restamped the image to bring back the details and because I used my MISTI the placement was perfect. I diecut the panel with the rectangle from Simon's Bundle of Stitches Dies. The sentiment from Simon's new Buttercup Stamp Set was stamped with Versafine Onyx Black Ink and clear heat embossed. I added the panel to a white notecard and embellished it with Glitter Nuvo Drops. That's it for me today. I hope you enjoy this wonderful new release as much as I do! Have a great weekend! Beautiful palette on this pretty card. Looks like a fab release. Wow, that's gorgeous. I love the look of colored pencil on kraft and you've done a beautiful job with that one! 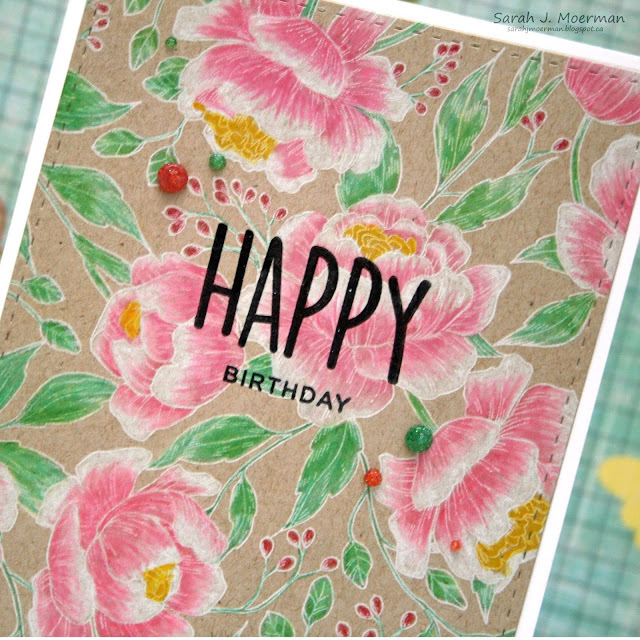 this is such a beautiful card! love it! So pretty. Love the look of coloured pencils on kraft. 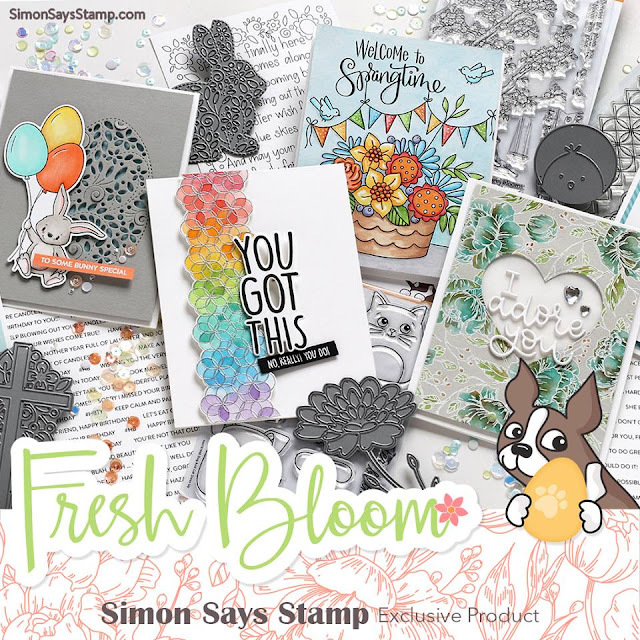 Simon Says Stamp April Card Kit Reveal!